GET YOURSELF AN AMAZING CHRISTMAS GIFT. 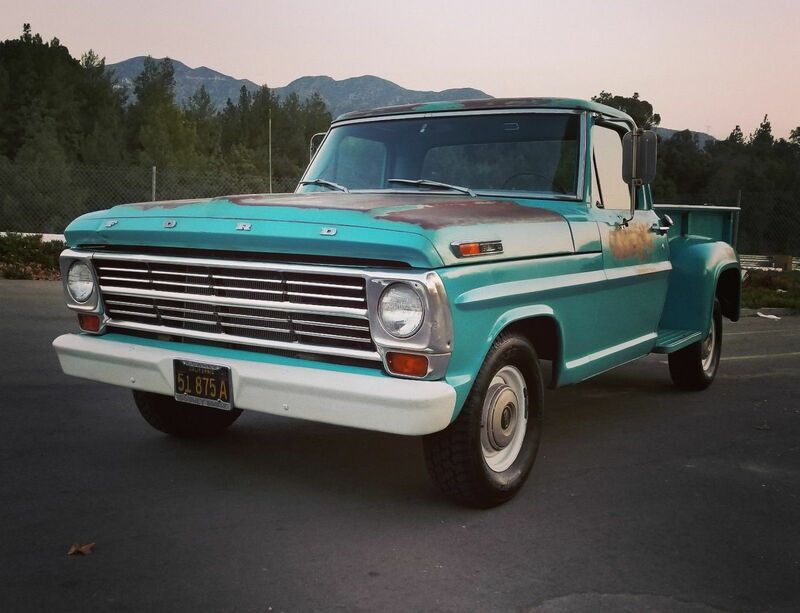 I am selling my beloved 1968 Ford F-100 with all original drive-train ,original paint and coolness. This is very rare rig with long-bed step-side that has been preserved some how from the natural and man-caused events, it is original paint with cool patina, with no accident,no rust and almost no ding. Even the one layer tailgate is clean and beautiful. It's a original black plate CA car. It has new upholstery [bench] ,chrome ceiling trim and very clean interior with all gauges working. The exterior as I mentioned is very clean with patina,the doors are shutting tight and the weather strips are intact and nice. No rattling or other noises from the body of this car. It easily cruises on high 70s and accelerates higher (90) when it needs to. I put a new clutch and the kit,it shifts smooth in all 4 gears and reserve, it has granny transmission that doesn't even need to take off with first gear. The motor is FE 360 which is 5.9 liter, it purrs and accelerates easy. I am not sure if it has been repaired along it's life but it definitely has lots of juice still remaining. The lights are working even the reverse light,the bed is original wood planks that I didn't want to change since it is beautiful and original and just talks about the years that has been gone and they are still there.I have original AM/FM radio that I got it separately but I can include in the sale along couple of extra stuff that i have. At the end this truck is 50 years old, it is a great survivor and deserves to be enjoyed by people who appreciate it's beauty. As someone from the sub-arctic rust belt, it is amazing to see something like this. Metal just does not survive in this form up here. The whole idea of wearing out the paint is a foreign concept. 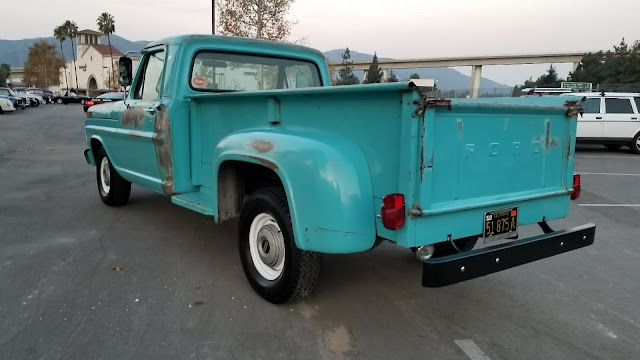 I kinda like the utilitarian air that this one has (long bed, single-layer tailgate (I had forgotten about those) and the wood slats. And then there is the big V-8 and a manual transmission! Not sure if that price is at or above market. In the town I live in there are city slicker that are moving in and opening up restaurants with one word names like Harvest, Feast, Nest. These farm to table folks like to dress like Stevie Nicks and sell $15 avocado toast. The coolest thing one can do in this crowd is buy a patinated Ford truck and put a bail of hay in the bed. It is pretty funny to watch. This truck would make you a god in this group. Sit on your bail of hay and drink a glass of kombucha. Do the guys dress like Stevie Nicks too? DT describes the truck as “not particularly...useful” This truck comes from a time when Americans actually used their trucks. In this era nobody bought a truck unless they intended to use it as a truck. No poseurs, hipsters or mall cruisers. True they aren’t fast or sporty but they work just fine as a truck and my 70s F150 has been very reliable.